Custom Combo Colors - Extra Charge!! 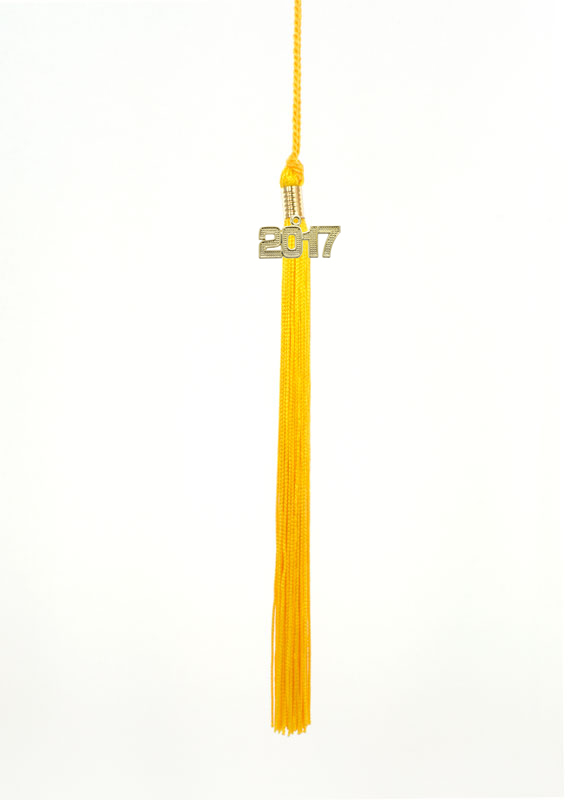 9" Graduation Cap Tassel with a 6 1/4" Cord Loop. Includes Gold Grad Clip and Year Date. These tassels are offered with options for 2 colors in the tassel. The loop color is always the darkest color. Should you require any other color combinations, please call us so we can personally assist you. Add $2.00 for the 3rd Color in a Tassel. Please fax to 954-698-0009 or email to [email protected]. Tassel arrived quickly, and was exactly what I had ordered - and it didn't look out of place with the official school tassels! Fast, efficient service. Reasonable prices, and quality of materials were excellent. The colors are true to the order, and the hanging date is a very nice quality. The colors are so rich and beautiful. 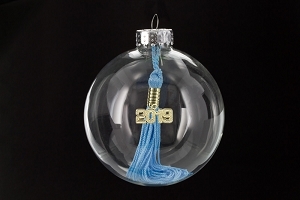 It's such great quality, I dint see it falling apart anytime soon and each of the individual tassels are thick and soft. Shipping time was so quick and I even custom ordered the colors. I called about a question before I ordered it and the people were so nice and helpful. I would definitely recommend these tassels and company to anyone!They are absolutely amazing! 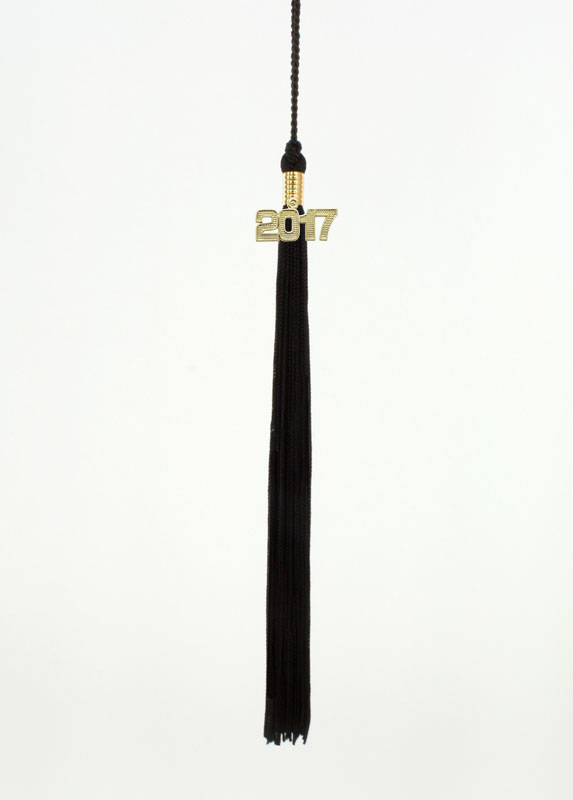 This tassel was perfect and shipped rather quickly!!! !...The price was better than most other companies. Thank you. Q: Can I get a combination of colors that are not listed in the drop down? A: You sure can. If you require a color combo that is not stocked. Here is a link to the correct page on our site http://www.tasseldepot.com/adgrta.html . Please select the last item in the color drop down, Custom Combo. Then select the year date and quantity that you require and proceed to check out. During the check our process please enter the colors you want in the comment section. Thank you. Q: mine was red dark blue and silver , can you do that ? A: That is not one of the 148 combinations that we inventory. However we're more than happy to custom produce it for you. Here is a link to the correct page on our site http://www.tasseldepot.com/adgrta.html . Please select the last item in the color drop down, Custom Combo. Then select the year date and quantity that you require and proceed to check out. During the check our process please enter the colors you want in the comment section. Thank you. Q: Can I get a graduation tassel in gold for 2028 and 2029? I'm a kinder teacher. A: I'm sorry but we only go out this + 4 years... So in 2016 we have 2016 - 2017 - 2018 - 2019 & 2020. Thank you. Q: I needing to order a few of these. 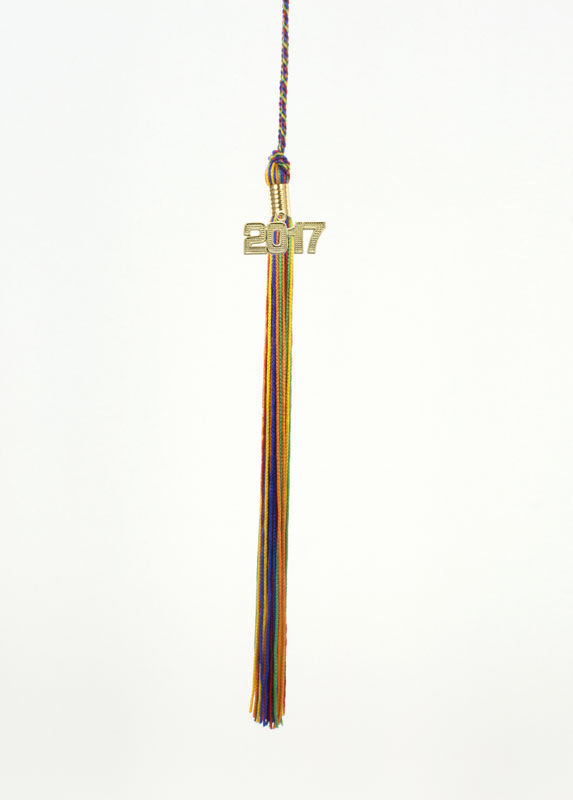 how do I order a multicolor tassel? 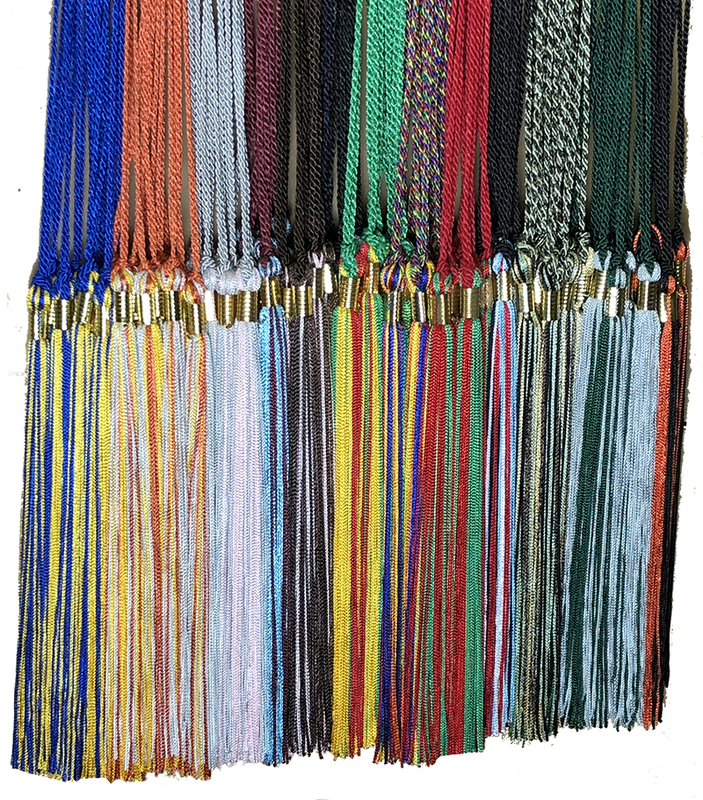 The multicolor tassels are below the solid color ones in the color drop down. Q: Is there an option for the colors to be maroon and silver, as well as having the year to be silver instead of gold? A: Thank you for your inquiry. The maroon/silver tassel can be made with a silver grad clip and year date as a custom item. Price would be $9.00 for 1 and you can order online as custom http://www.tasseldepot.com/adgrta.html. click on custom when you are in the color section. Write the colors and date color in the comment section upon checkout. Q: How can i get the adult graduation tassel in aqua, teal, lime or copper? A: We do have those colors except for the lime. We've just added them to the list. Please note that the color sample is not yet there, but you can rest assured, we'll ship the correct color. Thank you..
Q: I need a graduation tassel with the year 2018 and I need the tassel to be black and grey. I also need the graduation year to be in sliver, can y'all do that? A: We sure can. Just wanted the black and gray tassel that you want. Here is a link to the page on our site: https://www.tasseldepot.com/adgrta.html. In the comment section on the payment page during checkout, please ask Russ to make the year date Silver, and we will. Thank you very much and have a great rest of the weekend! Q: The color combo is not offered. (White, royal blue, kelly green). Can I custom make it? A: Not a problem at all. Just click on the link below and the last item in the color drop down is Custom Color... just select that and in the comment section during checkout, please tell us the colors you want. Your order will ship right out..
Q: Is it possible to get a 2 color tassel in aqua and lilac?